Sewell Appliance showroom displays kitchen design ideas and over 40 top brand appliances. Our trained staff is here to share their knowledge and help you choose the right indoor and outdoor appliances for your needs. 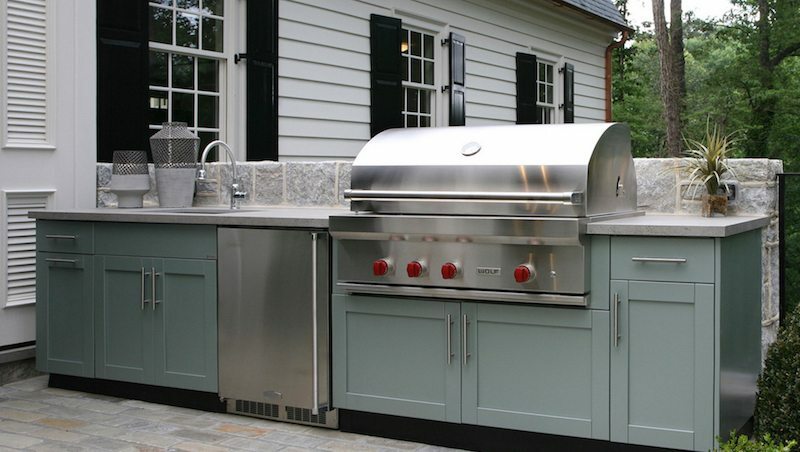 We also provide professional installation for your new appliances. Come visit us to see live product demonstrations and to get the best appliance shopping experience! 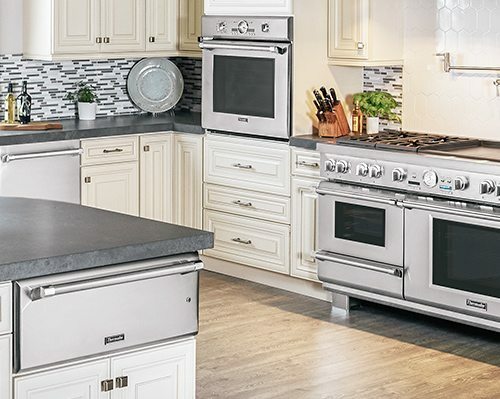 For more than 50 years, Sewell Appliance has been providing customers with a truly top-notch appliance shopping experience. We know this type of purchase is an investment you hope will work for many years. From our elaborate showroom displays to our friendly and knowledgeable sales staff, we are dedicated to helping you find the perfect appliance package for your home. Inside our doors, you will find kitchen design ideas including, layouts, cabinetry, and of course, appliances. The Living Kitchen presents Sub-Zero, Wolf, and Cove products in a full-scale kitchen setting with all the resources you need to create a dream kitchen of your own. Experience the difference in appliance shopping by interactacting with the products in complete, detailed kitchen vignettes, just as if you were visiting a model home. Get a feel for how appliances will look and function, see the quality of craftsmanship, and experience the entire line up of Sub-Zero, Wolf and Asko products. You’ll love spending time exploring each of the display kitchens and will get worthwhile insight into the many questions you probably have! Give us a call today and speak with a professional home improvement expert about your kitchen remodeling and design! Choosing new kitchen appliances can feel overwhelming. There are many great brands available and so many different specifications and features to consider. If you’re looking to purchase a new cooktop or range, you have to think about the number of burners, gas vs. electric, commercial or traditional style, and more. When it comes to dishwashers, there are also many options. You must decide whether you like the traditional opening door or drawer style. We’ve all been to someone else’s house and admired their appliances. Then asked a bunch of questions about what they like and don’t like about it. Talking to friends and getting recommendations is a great source of information. Another great way to choose your new appliances is to see and test your options in person. At Sewell Appliances, we regularly host in-store appliance demonstrations! This the perfect opportunity to see first-hand how popular appliance brands perform. Check out our calendar of events to see when our next appliance demo is happening. We welcome walk-in customers as well as appointments at our location in Sandy Springs, just 20 minutes north of the Atlanta metro area. Since 1962, our reputation for offering the latest trends in appliances and first-class customer service has earned us the title of Atlanta’s finest appliance showroom. In 2017, My Home Improvement magazine awarded Sewell the “Best Place for Appliances” award, voted on by readers and local consumers. Come experience for yourself why we are Atlanta’s best choice for home appliances with an incredible selection to shop. Give us a call today at 404.255.0640 and speak with a professional home improvement expert about your kitchen remodeling and design!